Greggs, the bakers/nation’s sweetheart, are really hitting it out the park recently. After getting with the times and unveiling their new vegan sausage roll, much to the chagrin of a certain obnoxious and interminably irritating TV presenter, the high street bakers are now reaching out to their loyal customers to suggest flavours for a new bake. However, while putting the question out there, Greggs just couldn’t help themselves but throw in a question which has really been plaguing a lot of people recently. Namely – ham and pineapple. Does it go together? I personally don’t think there’s anything wrong with a Hawaiian pizza. If you can have pork and apple sausages, and turkey and cranberry sandwiches, then pineapple on a pizza is fine by me. Whacking it in one of Greggs’ famous bakes though? It’s certainly intriguing. Putting the tweet out, it’s obvious the Greggs team was baiting their followers. 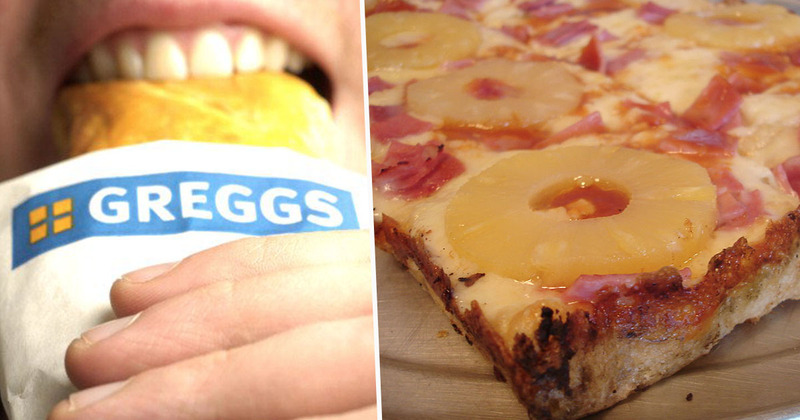 It was inevitable the ham and pineapple question would reignite the debate once more. If you could invent a new bake with ANY filling, what would you choose? As the picture shows, though, it’s all about the ‘HAM + PINEAPPLE’ neatly drawn around in the centre of the photo. Aside from the jokes, some baked goods’ fans replied with flavours they’d actually like, such as a vegan take on the classic sausage and bean melt. Piers Morgan Gammon Bake, best served lukewarm with a pint of English ale from your favourite local Wetherspoons establishment. (Price: 2 shillings fourpence). A few days later, the Good Morning Britain host also tweeted an interesting fact about the vegan sausage roll. For some reason, though, I’m not sure it put people off? Fact of the day: a Greggs vegan sausage roll has 11 more calories than a McDonalds cheeseburger. You’re being played, health freaks. Anyway, back to Greggs, and I reckon a few vegan choices would be great. Vegan sausage and bean melt gets my vote. That is, of course, if I ever went to Greggs. I’m more of a Gregorys guy – it’s basically the same but just much more middle class.